1. Say you’re out for the evening, and you start a conversation with a charming lad or a lovely lady. The conversation is spectacular and you want to really want to get their number! You could both whip out your cell phones and enter each other numbers, but that’s just boring. Hand them your calling card. Your vital info is all there, so no messing around with annoying technology. Simple. Convenient. 2. Letterpress=Quality. Let people know that you care about quality right off the bat. 3. 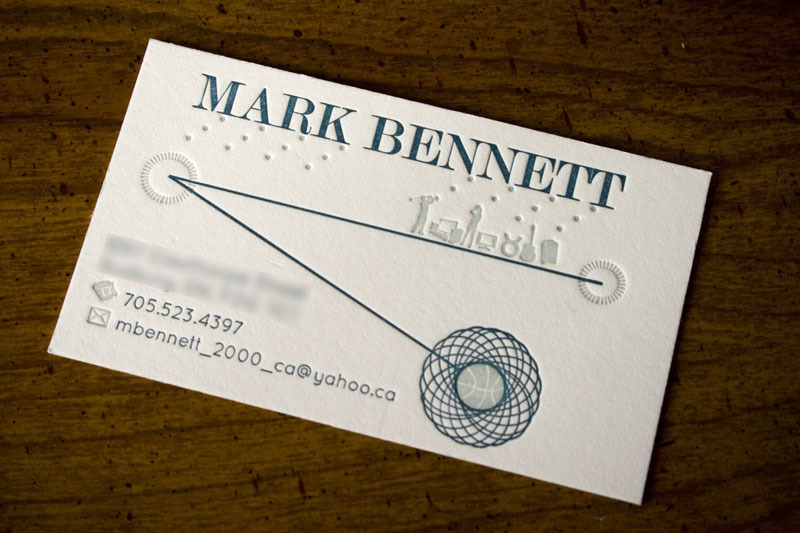 Calling cards make you look professional without being formal. It’s not quite a business card, but it’s not scrawling your email on a napkin either. 4. It’s a conversation piece! The person on the receiving end of your calling card will be impressed and spend time running their hands over your card. 5. Express your personality! Since it’s not as formal as a business card, you don’t have to go all corporate with your calling card. Use funky colours or intricate illustrations. Go for a custom design. Let people know who you are.